The Essential Men's Summer Dopp Kit | Valet. Summertime means vacations with significant others and long weekends with your friends. You're not packing the same clothes you'd pack in December, so why would you pack the same grooming products? That's why we've assembled the ultimate kit of warm weather products with some help from one of our favorite grooming sources, Madison Ruggieri, co-founder of The Motley. Created by gentleman surfer Chase "Big Bird" Wilson, this gentle, sulfate-free moisturizing daily shampoo has a patented blend designed to regulate moisture and protect against the elements. "Just like the rest of your face, lips get burned too," says Ruggieri. "This balm keeps lips hydrated and protected from sun and wind damage. Plus, it won't leave your lips shiny." "Musky scents can be overpowering in warm weather," Ruggieri warns. "This is a light, refreshing fragrance (with notes of salt water, citrus and greenery) that pairs perfectly with short sleeves. Also the rollerball is travel-friendly and easy to control application." "This adds texture and fullness to hair without feeling heavy or sticky," says Ruggieri of the product she helped develop. "It has a very light sheen to it, but you can't tell it's from the product. It leaves hair looking naturally healthy, which is always a good look." 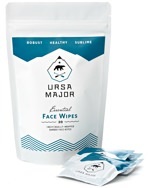 "These individually wrapped natural cleansing and toning towelettes are ideal on a hot day," says Ruggieri. "They're loaded with essential oils and extracts like willow bark and aloe vera so you can easily wipe away sweat and grime while on the go." Pop them in the fridge for a refreshing midday pick me up. $22 at Need Supply Co. When you're shirtless or wearing a tank top, you don't want your pits coated in gunky, chalky deodorant. This natural stick is formulated with refreshing eucalyptus extract and odor-neutralizing citronellyl. This is a fast-absorbing, long-lasting (but lightweight) moisturizer that you can dab on and spread easily over your face and body. 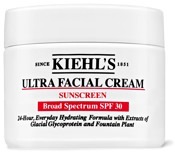 Plus, it won't leave your face greasy and comes with a broad spectrum SPF 30. Whether you're flying or simply spending a lot of time outside, summer takes its toll on your skin. This hydrating gel cleanser has licochalcone, a natural skin-soothing extract of the licorice root that reduces redness while balancing skin without leaving that dry, tight feeling. Instead of a flimsy Ziploc bag, stash your toiletries in a more sturdy, leak-proof bag (that's still transparent enough to breeze through security lines). This one, by Nalgene ($17.99), comes with four leakproof 60 ml bottles with color-coded caps to pack any non-travel sized products along with a cotton swab vial, and a leakproof wide-mouth jar for pills or thick creams. Like a refreshing slap in the face on hot, sticky, sweaty days. 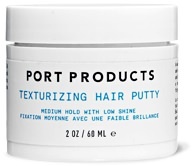 The grooming gear you never knew existed (but definitely want).